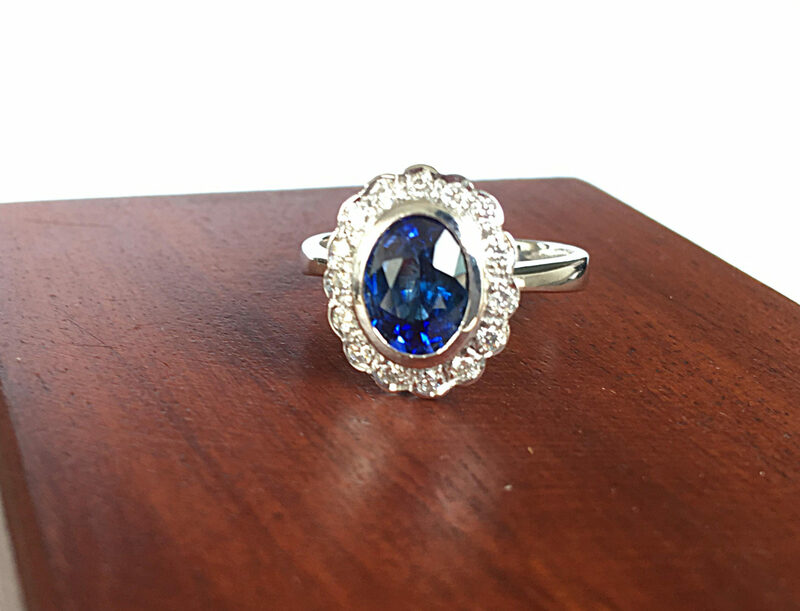 Today I am going to show a beautiful Natural blue sapphire diamond ring made by sumuduni Gems. color .This is a clean gemstone . We found this stone at Ratnapura area. If you love to see our gem hunting process please see discription you can find the link. So this is an antique style ring and it has baral setting it to give more antique unique look to the ring .And all diamonds are natural VVS quality colour g.
We provide Sapphire authentification cerificates issed by Sri Lanka Gem and jewelary authority . Please contact me if you`d like to customize this ring with White Gold, Yellow Gold or Platinum or if you want made your ring with a different Center stone. f you have any question about this ring don’t hesitate to contact us. We never consider it as a burden. We thoroughly believe it as a right of the customer to question as much as possible until he/she satisfy with us. Coz, end of the day you are the one who paying money from your pocket and you should receive the best. Als,o dont forget to subscribe and please share this video with your friennds and smash the like button.